Flight Crew Tax Preparation: with a flight crew and per diem specialist. Fast and easy at a fraction of the price of the big chains with a bigger refund than doing it yourself! Because of the new tax laws, beginning in 2018 an employee's work related expenses are no longer deductible in any industry. 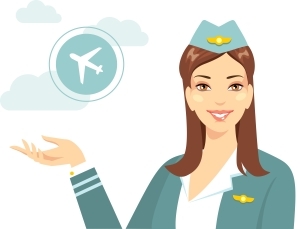 We still recommend that you use flight crew specialists to prepare your return because your per diem reimbursement on your W2 should NOT be considered taxable income. Even though there is no deduction for flight crew expenses this year you should still keep track of your overnights. Either fill out our flight calendar or check the box on the flight calendar that confirms you have kept these records to prove that your per diem reimbursement amount is not taxable. (If you work for SW they archive payroll reports after 3 months so please try to download those every month to keep in your files). Download tax Packet for Recurring US-based Crew or Download tax Packet for Recurring Expat Crew. * The $150 special is for new clients and includes itemized deductions (mortgage, property taxes, charitable donations), one state, and bank interest. There will be additional charges for married couples (begins at $200), dependents, multiple states, education credits, brokerage statements, rental income/expenses, self-employed side business, foreign exclusions, K1s or other complex tax situations. This base price increases by $50 between April 1 and the filing deadline each year. Our many happy clients love our service, read what they have to say.